Which headphones do you currently use? Currently, I am using the Audio Technica ATH-M50s. For what they are (closed DJ Monitors) they're just fantastic. They really give you a reference for, at minimum, how much detail is in a recording and should be strived for in a room environment. Their distortion is through the floor. For whatever reason, though, I've never been able to get them "dialed in" to tonal perfection, even with a 30 band EQ... and i sometimes suspect they've got a bit too much bass energy. However given what I paid for them, i thought they were a great deal. The truth is, i get the most use out of closed end cans than i'd ever get out of open ended cans, and that to me was a big factor, even at the cost of absolute accuracy. 1) I've always wanted to give a pair of DIY headphones a shot. I've seen it done with speaker ribbon tweeters and it's fascinating. However the psychacoustic research to determine exactly how we perceive tonality with the source of sound right at our ears, is still a bit over my head, as much of it as i've tried to read. The major things i've learned, are that i need to implement some level of rising low frequency response, although i'm not sure if I buy this. I've also heard a need for a declining high frequency response, and this one I do buy, just not sure to what extent. Finally I need to figure out the frequency where my ears canals form a resonance and cut that frequency. 2) I've always wanted to hear a pair of "STAX". Unfortunately there's nowhere near me that sells these that i'm aware of, and even if there was, the cost is a bit "difficult"
I cannot blame you for wanting to try Stax's. They are simply amazing. DIY would be fun in that you can custom design them to perfectly fit your head. Stax's are so good that if you find a deal on them, I would simply jump on them. 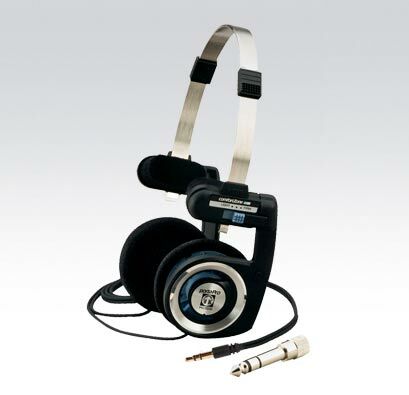 I have a Koss Pro4AAT for serious listening and a Technics RP-F300 for lousy stuff. That having been said, my Sennheiser 650s are my favorite piece of gear. I can (and often do) listen for 6-8 hours straight without fatigue or discomfort, very laid back and full-range presentation like nobody's business. $350 from a factory authorized seller. I think the 600s are even less expensive than that and are more forward in their presentation, also may be a better choice depending on what kind of music you like. If you decide against the diy there are many great choices from Stax, Sennheiser, AKG, Grado and even Sony, audition for several hours straight to ensure their sound and comfort works for you. Not HiFi, hope this is ok here. The best workout headphones I have found. Perfect for biking, they grip your head tightly, are adjustable for comfort and the semi-open back allows you to hear what is going on around you. Wish they had a single sided cord, though. They really do sound pretty decent. AKG K-141s, Ive been using these since 1991 and still sound great.